Below are Dakota saddles for sale including ranch, roping, barrel racing, and other saddles. Dakota saddles are made in the USA by Dakota Saddlery in Alabama. They are known for offering high quality at affordable prices. Dakota Saddlery uses excellent materials in their saddle making, including leather from the USA. Below: A Dakota saddle (this one is the Dakota Qualifier barrel saddle). Dakota makes a complete line of saddles including barrel, trail, ranch, roping, and more. Dakota saddles are sold by HorseSaddleShop, known for their low prices and fast shipping. Below are Dakota saddles for sale from HorseSaddleShop.com and eBay. Looking for Dakota saddle reviews? Many of the Dakota saddles below have reviews left by previous HorseSaddleShop.com customers. Click on the saddle of your choice (below) to see a full description of it, then look for reviews underneath the description. Dakota saddles are made by Dakota Saddlery in Alabama. 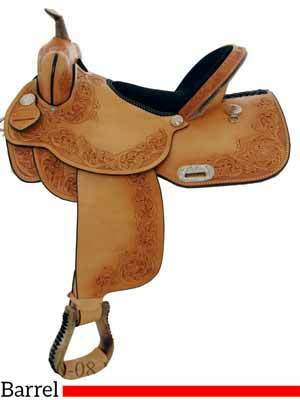 Dakota saddles are known for offering high quality at affordable prices. Dakota Saddlery uses excellent materials in their saddle making, including leather from the USA. 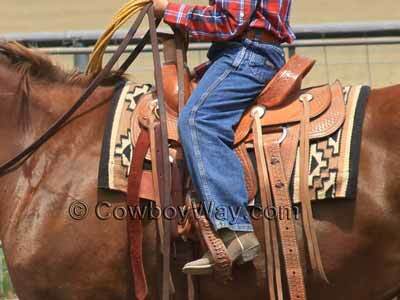 Below: A Dakota roping saddle with a young rider.